Prohibition Agents F. M. Taylor and H. E. Daggett had seized a large distillery and arrested several suspects in Kitsap County, WA. They called for additional assistance and Agents George Trabing, Basil Cunningham, William Miller and Alfred Sides arrived to handle prisoners and dismantle the still. During the dismantling, Agent Cunningham removed his heavy coat and placed his revolver between the folds of the coat, which he placed on a nearby shelf. At some point after several hours of work, Agent Trabing picked up the coat and the gun fell to the floor and discharged, striking Agent Trabing in the stomach. Although Agents Cunningham and Miller immediately rushed him to the Naval Hospital in Bremerton, Agent Trabing died shortly thereafter. 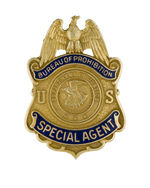 Agent Trabing joined the Prohibition Unit on May 7, 1924, and served in offices at Denver, CO, Salt Lake City and Ogden, UT, Boise, ID; Ft. Worth, TX, and Seattle, WA. He carried badge #2930. Agent Trabing was born in Laramie, WY. 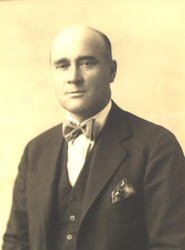 He was survived by his wife, Mabel, their daughter, Ester and two sons.